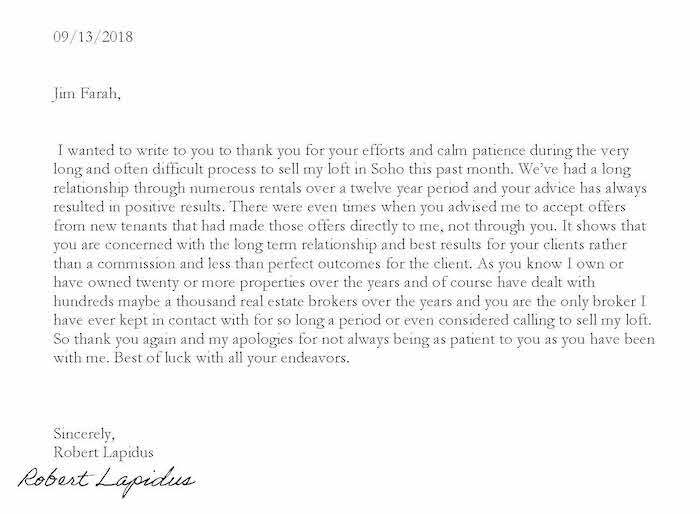 In real estate, it’s always great when a client shows their appreciation for a job well done. A thank you note is worth its weight in gold, and studies have shown that expressing your appreciation elicits both physical and psychological benefits good to both giver and receiver. Read more about why a thank you note is such an effective part of networking here.